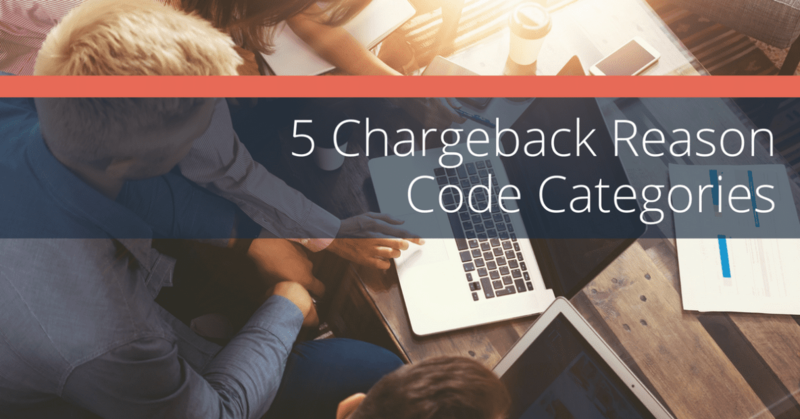 There are 151 reason codes to categorize chargebacks across Visa, MasterCard, American Express and Discover. These reason codes can be grouped into five main categories: Fraud / No Authorization, Cancel Recurring Billing, Products / Services, Liability Shift, and Other. Specific breakdowns vary by card network. And it all can be found in the Reason Code Encyclopedia. But overall, Fraud / No Authorization chargebacks account for 52 percent of all disputes. Cancel Recurring Billing Disputes represent the next largest group of chargebacks at 19 percent. Product / Service chargebacks are a close third, at 18 percent of all chargebacks seen. 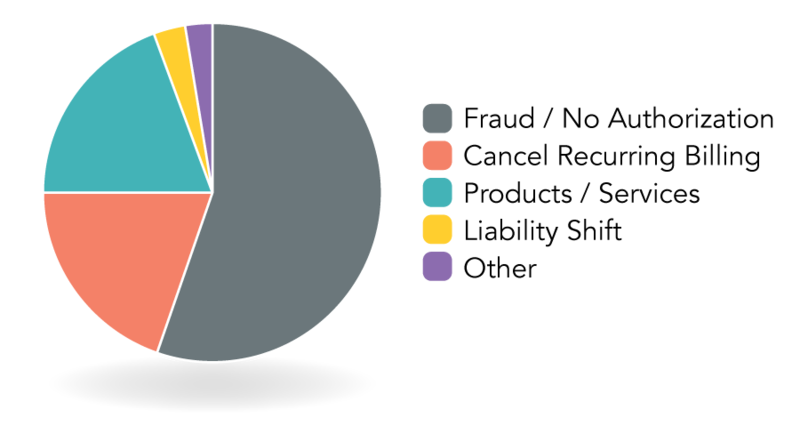 Liability Shift and Other chargebacks represent just 3 percent of chargebacks, respectively. Here’s a graph that gives a good visualization. As you can see, Fraud and No Authorization reason codes will represent the majority of chargebacks. Fraud chargebacks are used to represent disputes, where a cardholder’s payment information was stolen and used without their knowledge. No Authorization chargebacks show when customers don’t believe their payment information was compromised. But they still don’t recall authorizing the transaction. The cardholder was a victim of magnetic stripe fraud in a card-present transaction. The cardholder does not recognize the transaction and believes it could be fraudulent. The cardholder does not recognize the transaction. Here’s the subtle difference between Fraud and No Authorization chargebacks. No Authorization suggests the cardholders were in possession of the card at the date and time of purchase. But they do not recognize a transaction on their statement. Or they just don’t remember authorizing a transaction. Businesses with subscription billing become very familiar with Cancel Recurring Billing chargebacks. There are many things merchants can do to avoid recurring billing chargebacks. But even with every best practice followed, Cancel Recurring Billing chargebacks will likely still appear. Products / Services chargebacks represent customer disputes that involve issues with the merchant’s merchandise or service. In addition, the cardholder must contact, or attempt to contact, the merchant to resolve the issue. But they can contact their issuing bank if the merchant refused to adjust the price. Or other matters like not having the merchandise replaced. And no issue of credit is a good reason. The chip liability shift took effect on October 1, 2015, in the US. It meant big changes for card-present merchants. Instead of the issuer absorbing the losses associated with a counterfeit transaction, merchants that aren’t chip-enabled are liable for the transaction amount. It didn’t take long to realize that wide-spread EMV adoption would take much longer and cause more losses than expected. That resulted in a large influx of EMV-related chargebacks for merchants who await terminal certification. As a result, the card networks made adjustments to soften the initial chargeback shock for card-present merchants. Until April 2018, American Express and Visa blocked all U.S. counterfeit fraud chargebacks under $25. And issuers were limited to charging back 10 fraudulent counterfeit transaction per account. Mastercard also had policies in place that limit merchant exposure to Liability Shift chargebacks. The cardholder claims they were in possession of the chip credit card on the date of the transaction. Or they did not participate or authorize in a card-present transaction used at a magnetic stripe terminal. The catch-all chargeback category is fittingly described as ‘Other’. These chargebacks represent a small portion of overall chargebacks seen. Don’t get us wrong. There are some chargebacks that represent dispute situations that are unique to the other categories. But there are also reason codes that the card networks use as a catch-all to represent disputes. E.g., some disputes aren’t covered by any other reason code. You can deepen your knowledge beyond the five reason code categories. And there is a way to dig into each card network’s set of chargeback reason codes. You can learn what they mean, what evidence is needed and how you should respond. 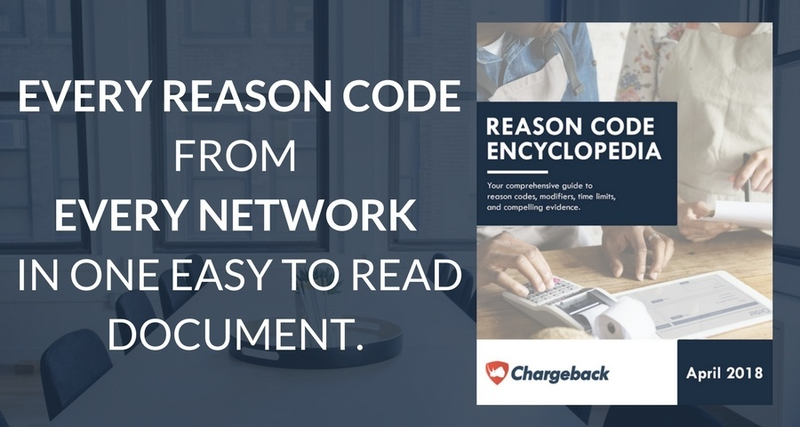 You can learn it all right here with the Chargeback Reason Code Encyclopedia.